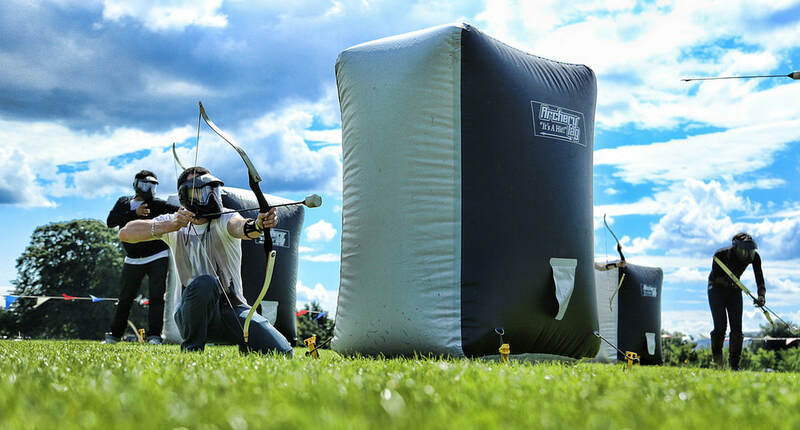 Bowmentum Archery is excited to announce our newest service, Archery Tag! 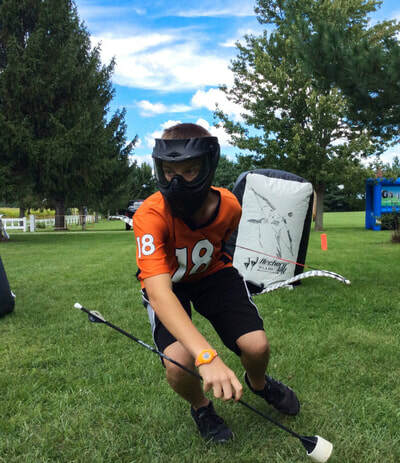 ​ Archery Tag® is played similar to dodgeball with our bows and foam-tipped arrows. This exciting, action-packed game offers the ultimate family-friendly experience that engages everyone! Like dodgeball and paintball, but without the welts! Safe, foam-tipped arrows allow players to dodge, shoot, and strategize in heart-pounding game scenarios of friendly competition. We bring the fun to you, we supply the equipment and a few staff to referee and teach the basics of nocking, shooting, and the rules of the games. The game is safe, mobile, and a fun way to be an archer with the whole family. Although it is all ages, we suggest 11 years old and up for best results. Unlike some other sports, the only safety equipment required to play Archery Tag® is a facemask. Players experience virtually no pain when "hit" with our Archery Tag® arrows. Packages are available for birthday parties, corporate outings, church lock-ins, tournaments, summer camps and more; starting at $225 per hour, for up to 20 players. Follow us on ﻿Facebook﻿ for up to date events, festivals schedule, and other details. Available upon request. Call us at 217.485.3500 for detailed planning of your event or group play idea. 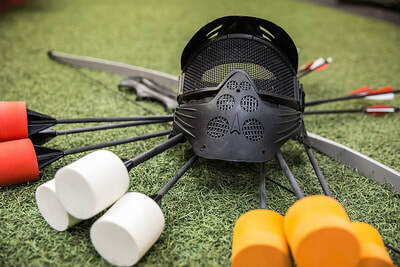 When you reserve Archery Tag from Bowmentum Archery, we provide the equipment, the games, and the staff to help your players have fun and inspire some friendly competition. We offer fun exciting scenarios to spike the adrenaline in you and no Archery experience is needed. All you need to do is supply a location! ​An open space of around 78′ by 36′ is ideal for field set up. Includes two coaches for set up, lessons, and keeping games alive. Add hover ball to your event for an additional $25. Discuss more details about your large event or group play. Great for youth groups, camps, corporate events, or any large group that needs additional planning.